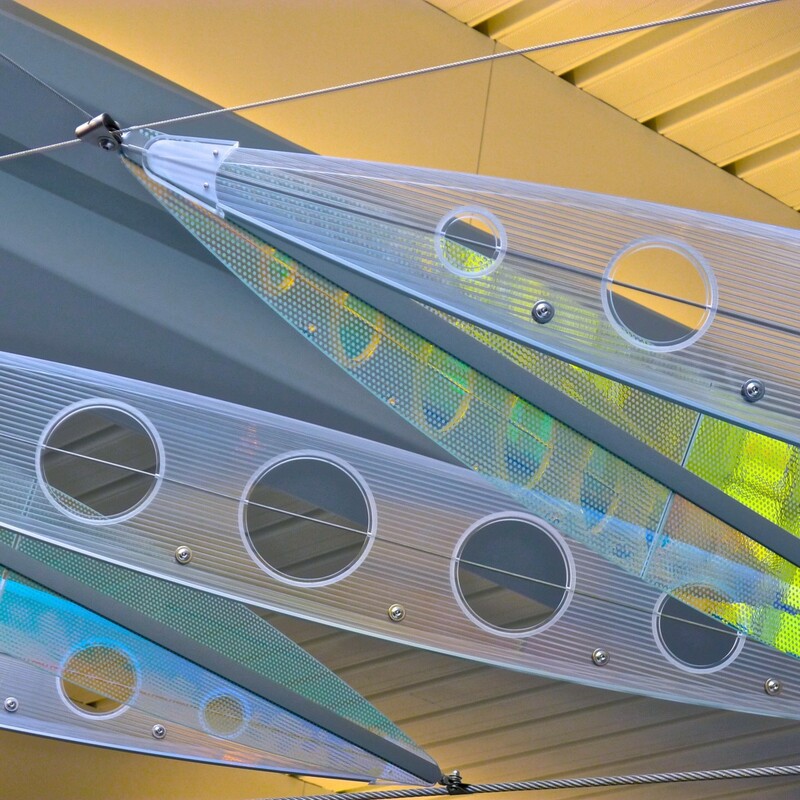 “Aloft” evokes feelings of ascent and descent, and sensations of the allure of flight. 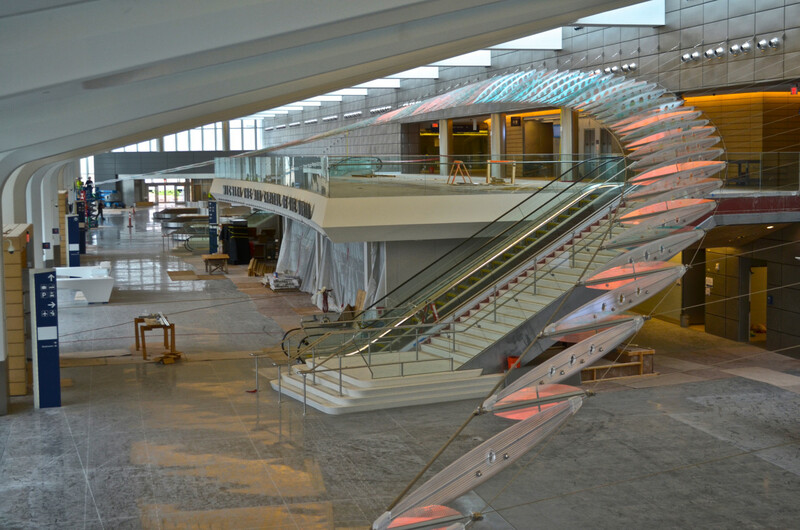 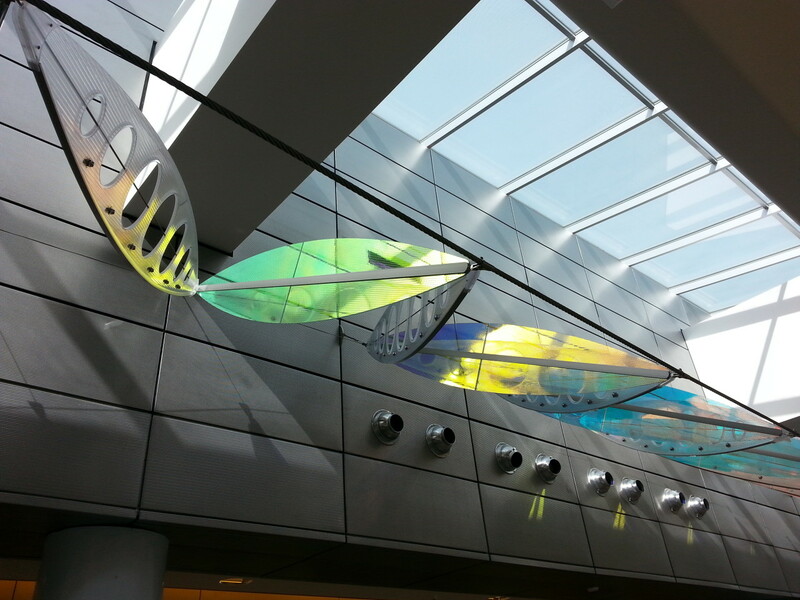 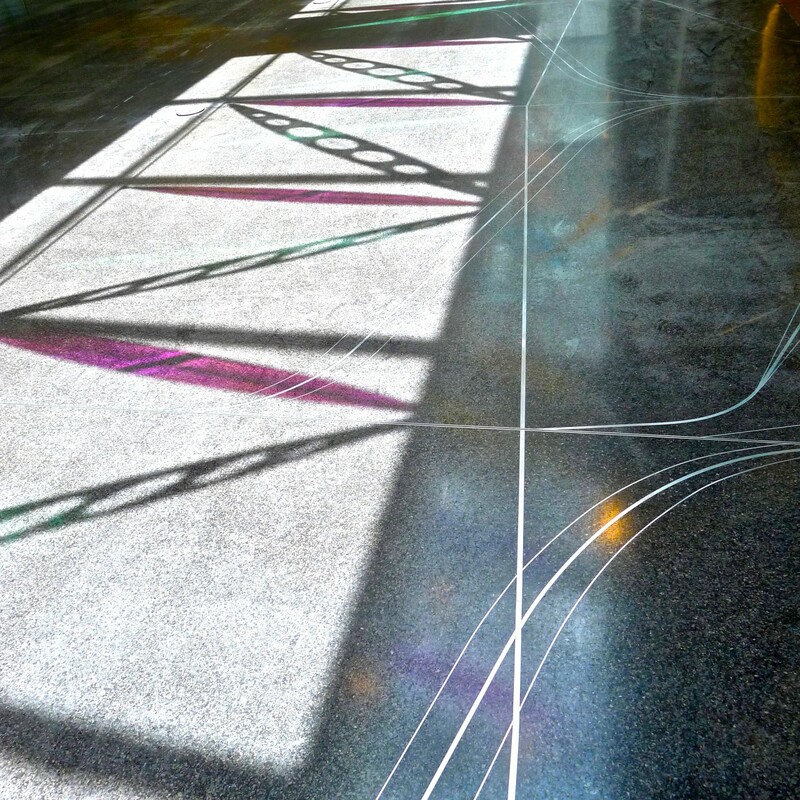 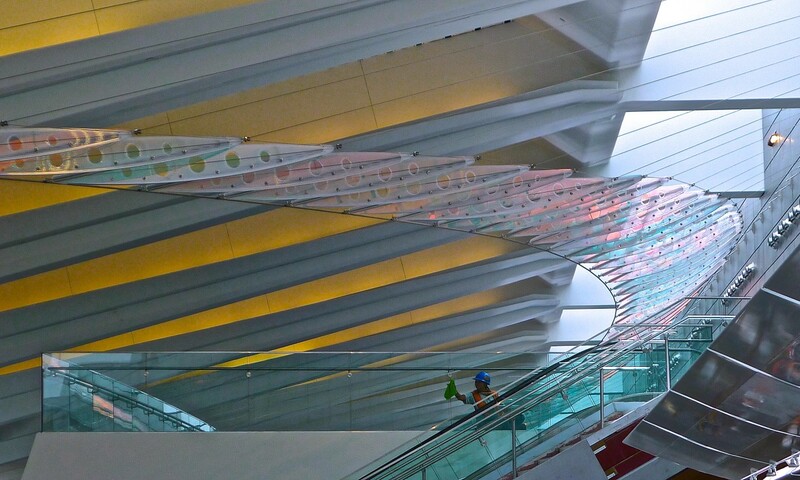 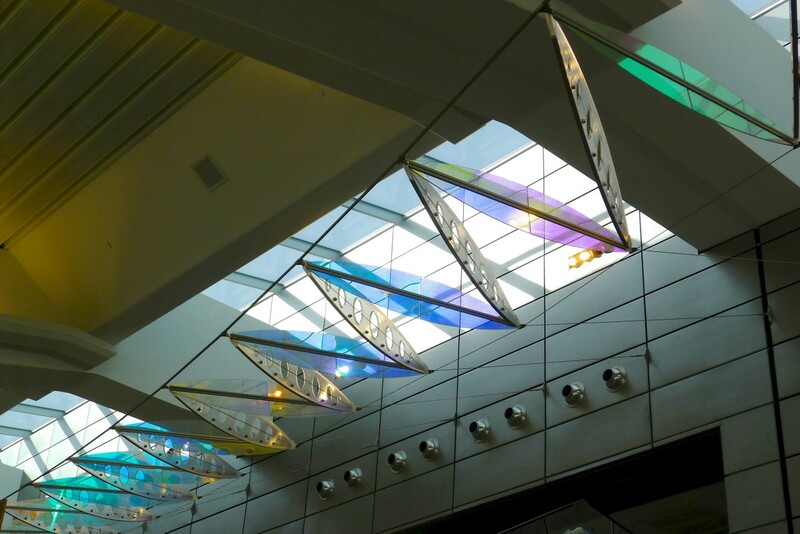 It makes an enormous aerial gesture in the space, springing from points along the architectural grid of the building, interacting with light from the skylight, and enveloping travelers on the escalators and balcony, as it soars from one end of the building to the other like an enormous abstract wing. 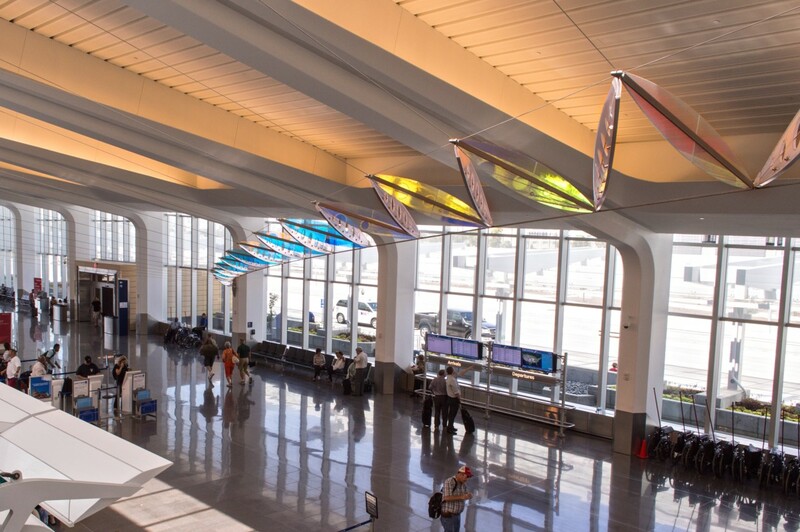 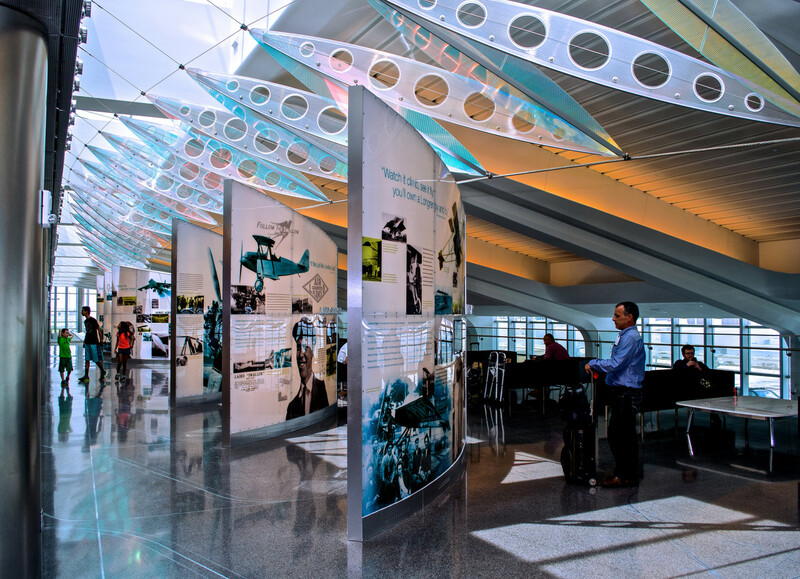 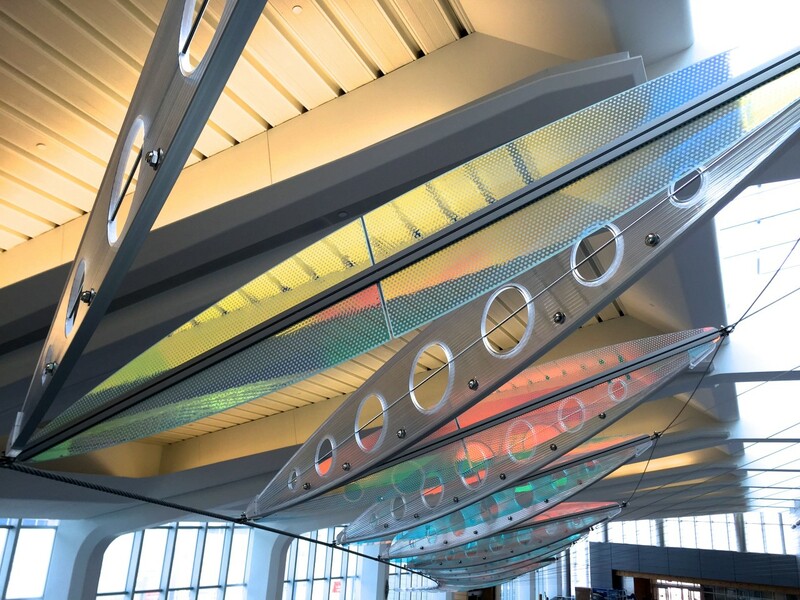 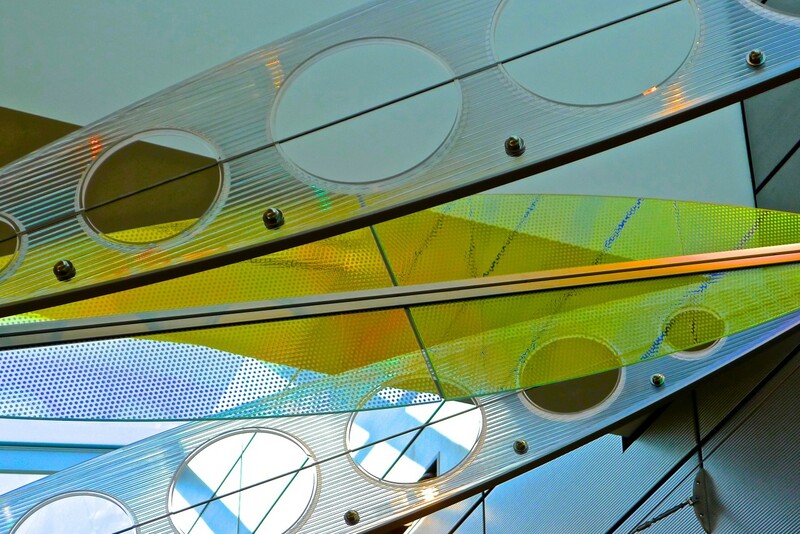 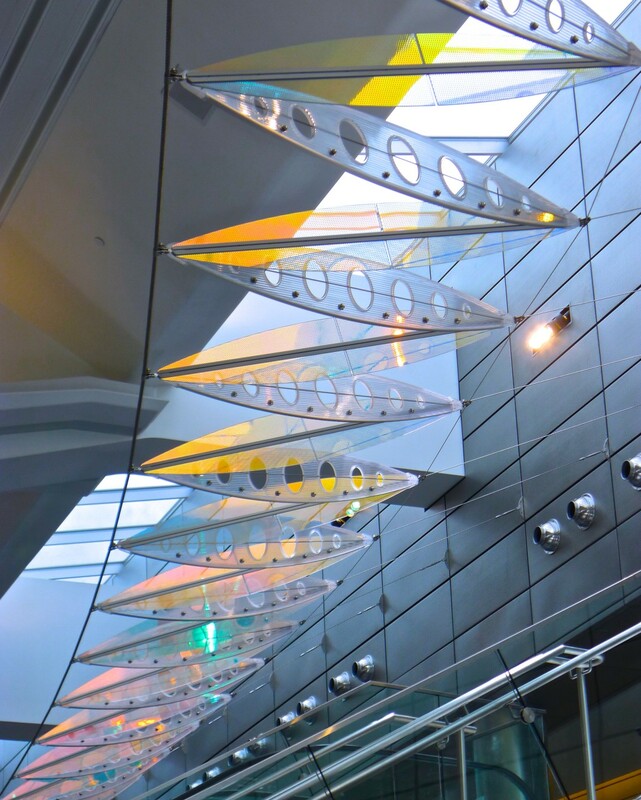 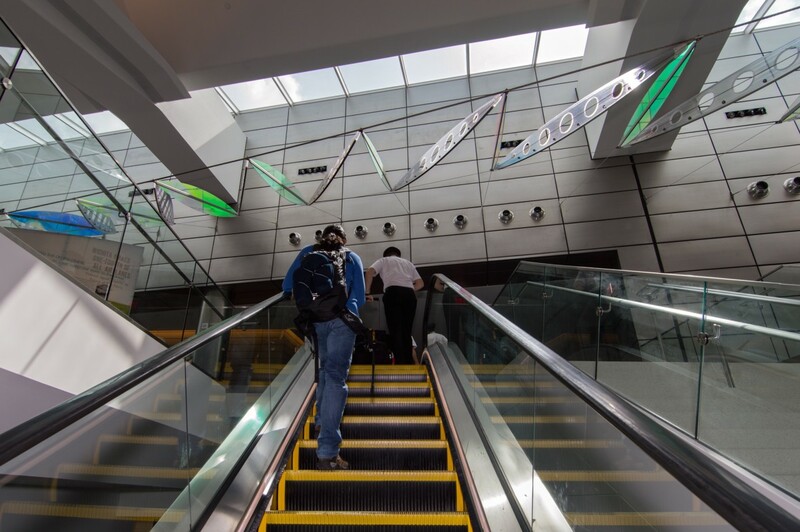 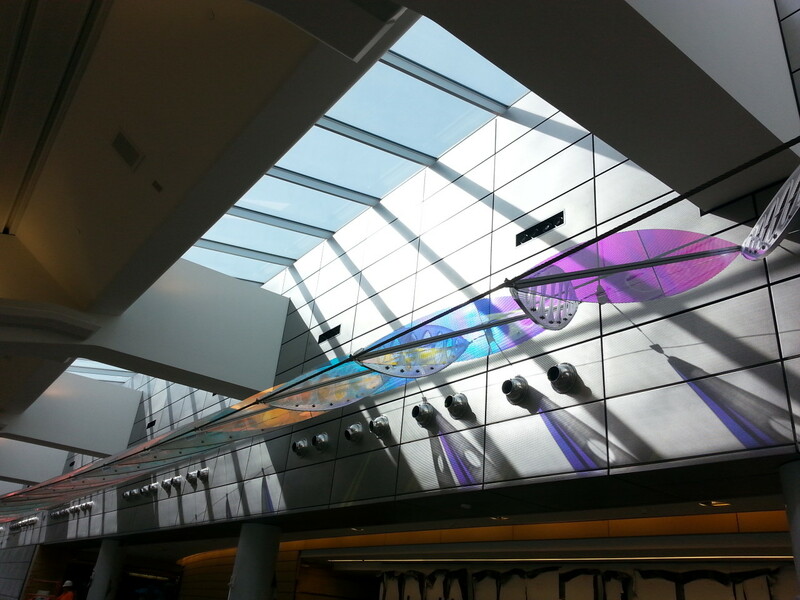 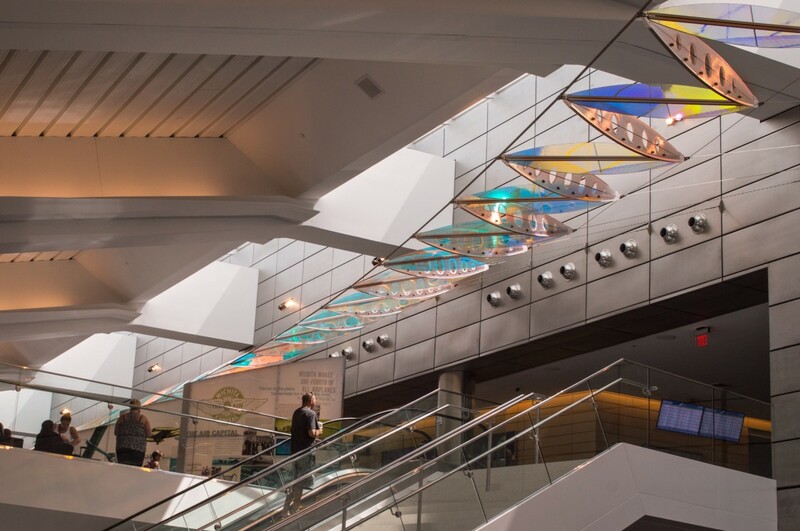 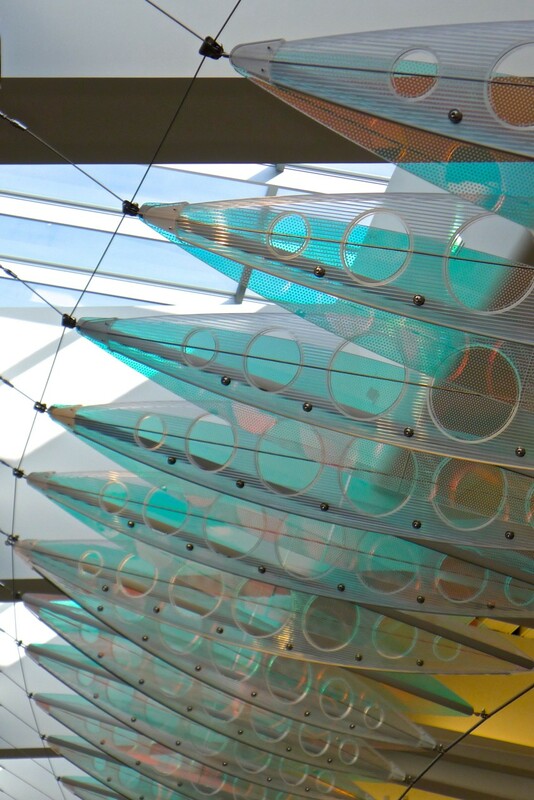 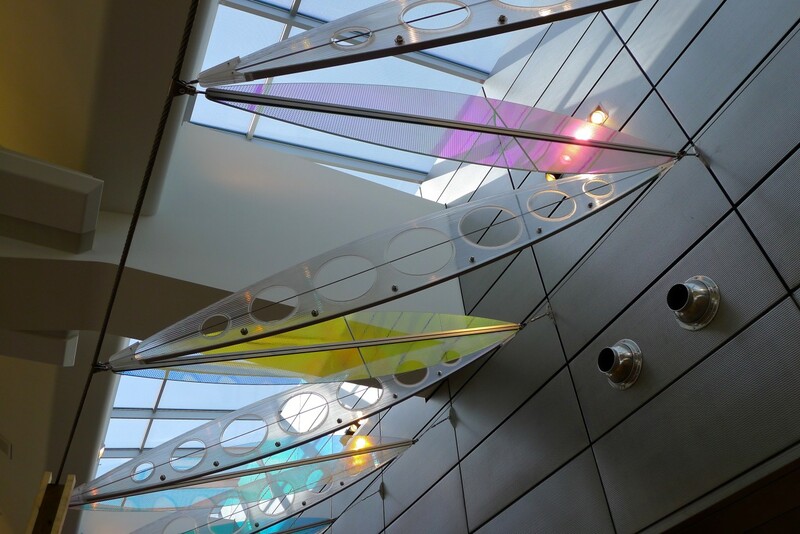 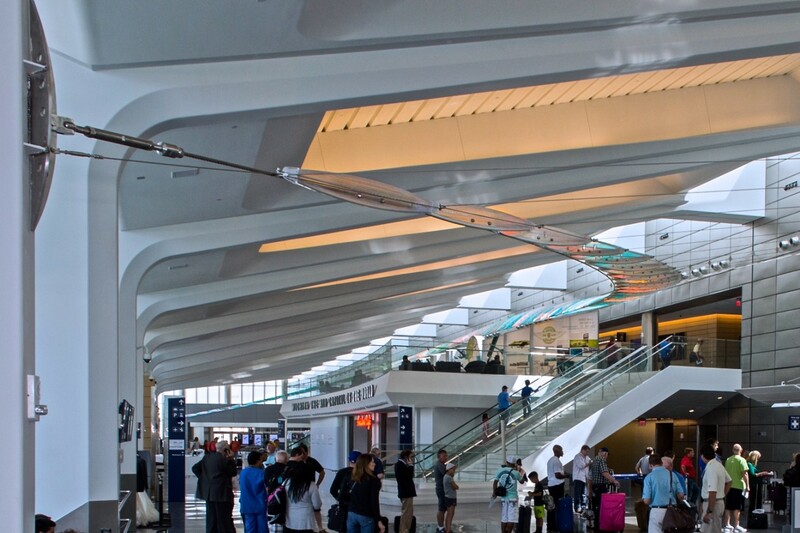 “Aloft” is composed of a 360 foot long main cable and sixty-five transverse cables supporting alternating panels of laminated glass and cellular polycarbonate. 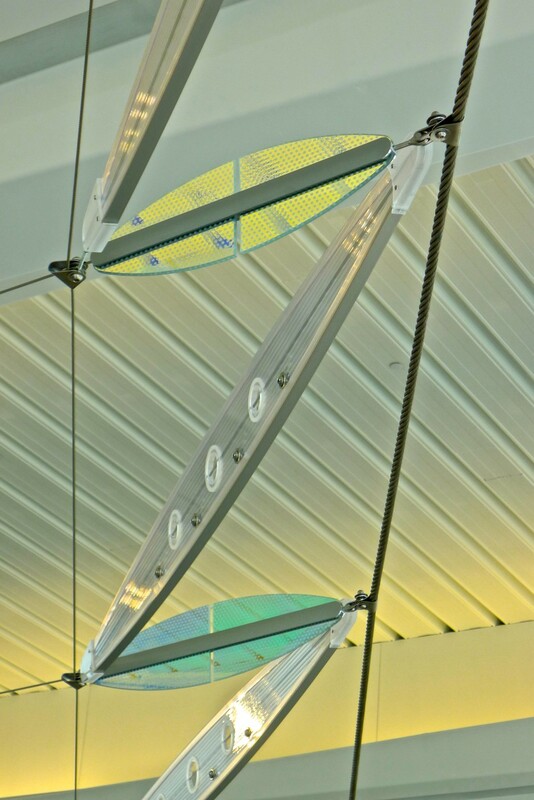 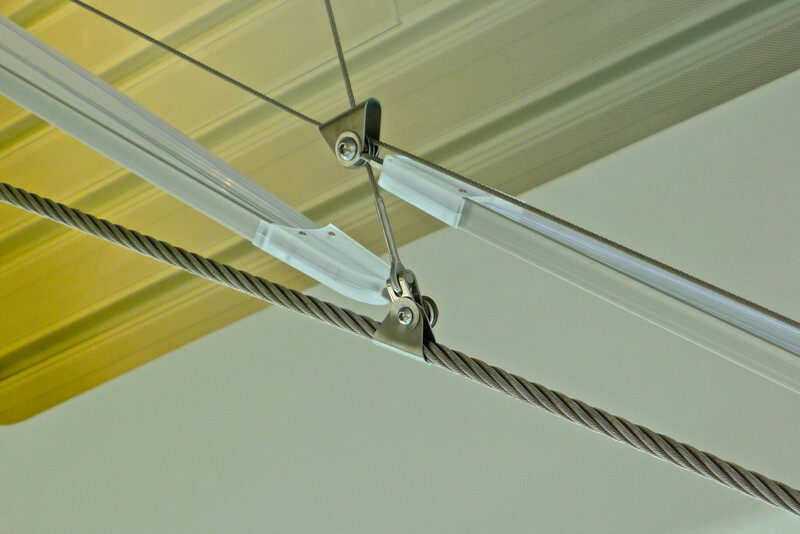 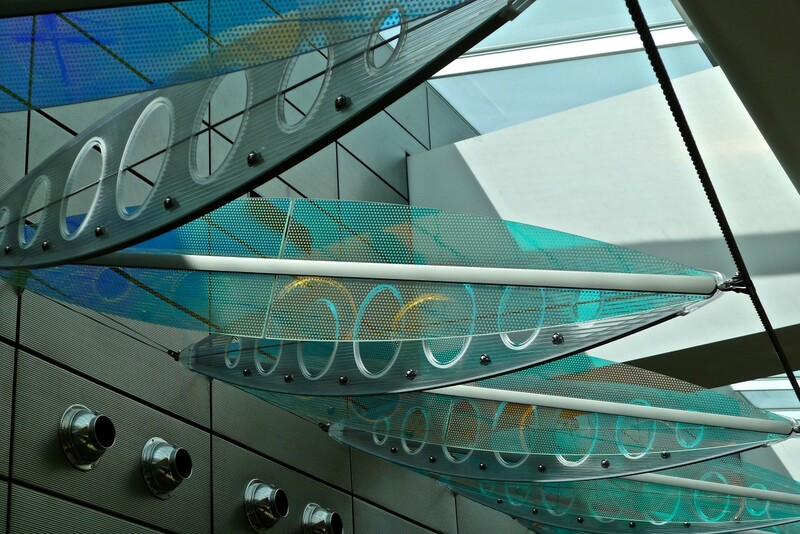 Materials: Laminated safety glass, stainless steel cables and hardware, cellular polycarbonate.